Edna Sadberry, former Program Supervisor for the Pathway to Career Corps and MLK VISTA programs. 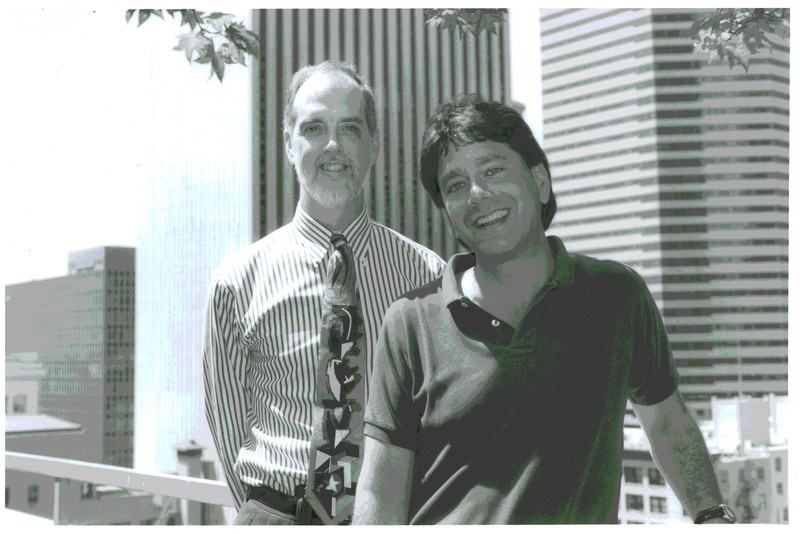 Over 40 years, Solid Ground and our forebear the Fremont Public Association have helped incubate many of our community’s most effective responses to poverty. These include the Low Income Housing Institute (LIHI), the Economic Opportunity Institute, Community Voice Mail (now called ConnectUp), FareStart, the Washington State Housing Trust Fund, and many others. Unfortunately not every good idea is successful in the marketplace of nonprofit programming. Sometimes a principal funder pulls out, such as when the federal Corporation for National & Community Service discontinued funding the Washington Reading Corps, which ended our demonstrated success at closing the achievement gap through literacy tutoring and support for elementary school students. Other times, the business model does not pencil out, which is what happened with our Working Wheels program, an attempt to provide low-cost cars to people living on low-incomes who needed a reliable vehicle to get or maintain a job. Sometimes the program design itself is not sustainable. A few years ago Solid Ground pioneered a new National Service model, Pathway to Career Corps (Pathways), designed to provide underserved young people from communities of color a training- and work-based model to prepare themselves for higher education or the workforce. While designed by experienced, successful National Service Program Managers, Pathways proved unable to meet all of the challenges faced by its team in the first year, according to Program Supervisor Edna Sadberry. Looking at a large fundraising goal to support a second year, Solid Ground’s Board of Directors chose to close the program. 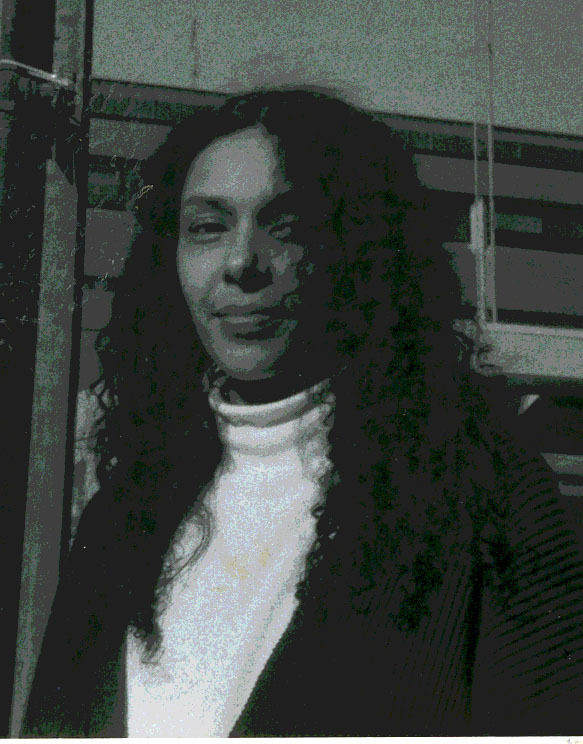 Sadberry went on to manage Solid Ground’s Martin Luther King VISTA program, a National Service-based program Solid Ground ran from the late 1980s until 2014, which was a groundbreaking effort to infuse anti-oppression analysis, training and action into the service model. Though the legacy of MLK VISTA’s work was incredibly powerful, this anti-oppression focus was ultimately not in alignment with state National Service leaders’ priorities, and the program was forced to shut its doors this past summer. What lessons can we learn from these program closures, and how do we incorporate Solid Ground’s commitment to anti-racism and anti-oppression principles in our anti-poverty work? 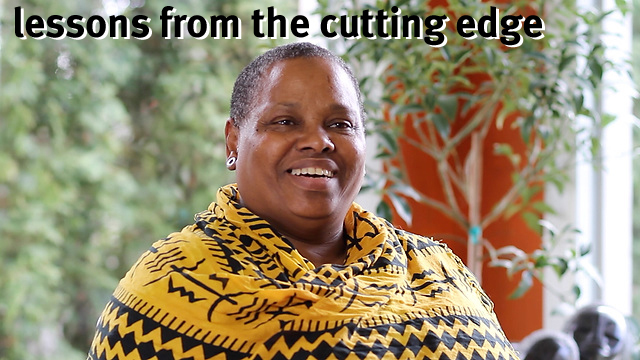 In this video, MLK VISTA and Pathways Program Supervisor Edna Sadberry shares some of her insights, learned on the cutting edge. Posted on September 15, 2014 by Gordon McHenry, Jr.
Everybody can be great … because anybody can serve. You don’t have to have a college degree to serve. You don’t have to make your subject and verb agree to serve. You only need a heart full of grace. A soul generated by love.” -Dr. Martin Luther King, Jr. In 1985, with Dr. King’s words ringing in their ears, Solid Ground (then the Fremont Public Association) launched a VISTA program to develop community leadership and fight poverty through National Service. In 1989, the program was christened the Martin Luther King VISTA Corps. In subsequent years, Solid Ground developed National Service programs to effectively address literacy, develop community-based violence prevention, and support anti-poverty capacity building throughout King County. 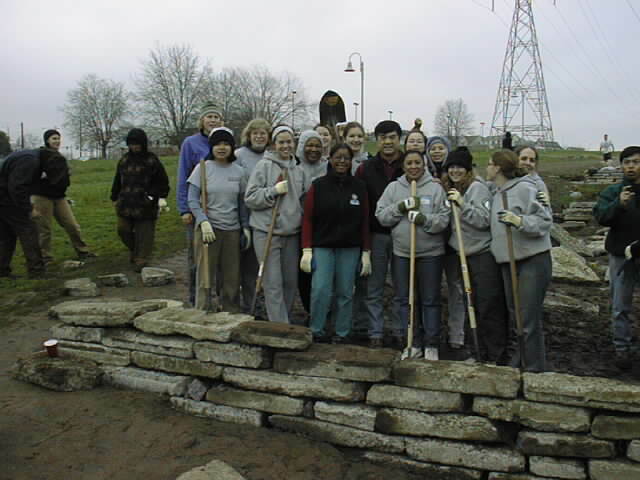 At one time, we managed the state’s largest group of National Service programs, with 150 AmeriCorps & VISTA members. Backed up by a deep anti-oppression training program, Solid Ground’s National Service programs developed a strong reputation in the community. 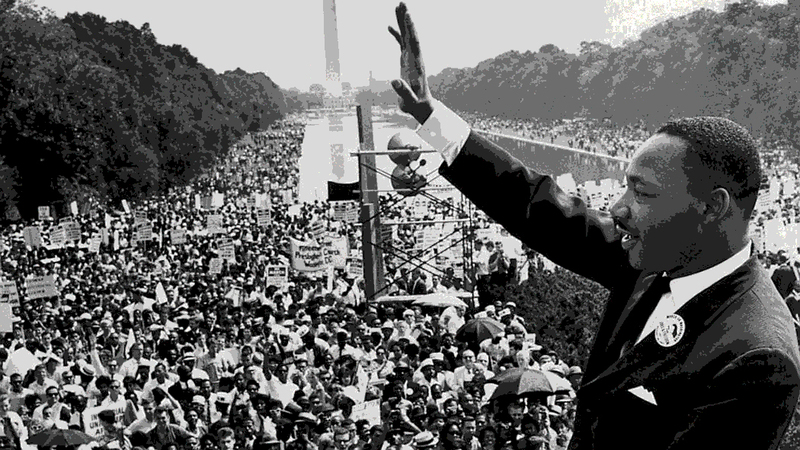 On August 31, 2014, we ended the MLK VISTA program, marking the end of an era. The Washington Reading Corps, JustServe AmeriCorps and Pathway to Career Corps had closed in recent years. All were afflicted by variations of the same fatal challenge: changing priorities and practices mandated by the federal contracts that funded them. 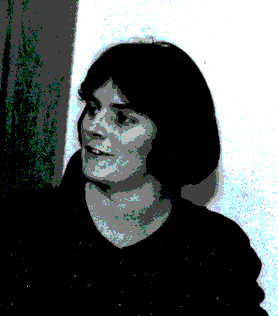 For instance, changes in the direction of the Corporation for National & Community Service (CNCS) meant that “for the first time in our long history of partnering, (we) were not in agreement (with CNCS) around creating leaders who understood the connection of racism and poverty,” noted former MLK Program Supervisor, Edna Sadberry. For over 25 years, these programs helped develop countless resources, organizations and leaders in the fight against poverty. More than 2,500 corps members graduated, and former members now hold leadership positions in many innovative and effective organizations including Solid Ground, United Way, Literacy Source, Real Change, YWCA, Seattle Young People’s Project, El Centro de la Raza, 501 Commons, Wellspring, American Friends Service Committee and many others. Our sadness at closing the program is leavened by our pride in its accomplishments and enduring contributions to our community. Edna, Nicole and Julz Ignacio were the last in a long line of incredibly talented and dedicated staff of our National Service programs. Please join me in honoring their work, the many great leaders who preceded them, and the lessons this agency has learned through their service. And we shall have to do more than register and more than vote; we shall have to create leaders who embody virtues we can respect, who have moral and ethical principles we can applaud with an enthusiasm that enables us to rally support for them based on confidence and trust. We will have to demand high standards and give consistent, loyal support to those who merit it.” -Dr. Martin Luther King, Jr.
Groundviews is Solid Ground’s quarterly newsletter for our friends and supporters. Below is our November 2012 lead story; visit our website to read the entire issue online. The impact of Solid Ground’s work is no more powerfully expressed than through the words of gratitude from the people who access our services. In the spirit of Thanksgiving, we have collected here a tiny sampling of thank you notes passed on to program staff by people who have come to Solid Ground for a wide variety of reasons, and who were moved to let us know how their lives have positively changed through their experiences here. “Thank you for all of your help along this journey. If it wasn’t for you and the help that Solid Ground has given me, I wouldn’t be where I am at today. Hell, I may have still been on the streets somewhere and that isn’t a good place to be. But you were able to give me the tools to move forward. Now I also know that it was a hard road getting here, and I had to put in a lot of the work myself. But the support that you gave me along the way is what really got me moving forward. Solid Ground is pleased to announce that Gordon McHenry, Jr. has been named President & Chief Executive Officer. McHenry most recently served as the Executive Director of the Rainier Scholars, a Seattle-based academic enrichment and leadership development agency. Rainier Scholars increases college graduation rates for low-income students of color by providing comprehensive support from 6th grade until college graduation. Solid Ground also announces that Sandi Cutler has been named Chief Operations & Strategy Officer. Instrumental in the growth of Bastyr University and other agencies, Cutler brings significant strategic, operational and organizational development experience. The hirings highlight a time of intentional introspection and change at the King County nonprofit, as the agency implements a new strategic plan calling for increased collaboration and coordination among its services. “We are thrilled to bring this talented leadership team to Solid Ground,” stated Lauren McGowan, Solid Ground Board Chair. “We undertook a national search and in our own backyard found leadership whose careers and life stories embody the notion of creating opportunity for all to thrive,” she said. McHenry previously served in a variety of executive leadership roles in The Boeing Company, most recently as Director of Global Corporate Citizenship in the Northwest Region. A lifelong member of the Seattle community, McHenry has served on many local boards, including the Central Area Motivation Program (now called Centerstone), United Way and The Seattle Public Library. He currently serves on the boards of Mountains to Sound Greenway Trust and Seattle University. McHenry’s father was the first African-American engineer promoted into management at Boeing, as well as the first person in his family to graduate from college. His mother grew up and was educated in a segregated community in Texas. Their experiences gave their children deep respect for education and a strong belief in being active community leaders. Cutler’s father led efforts to desegregate public schools in the Central Valley of California. His legacy bore fruit in Cutler’s early work as a political activist and management of progressive political campaigns and reform efforts. “I am delighted to team up with Sandi Cutler. His activist roots and organizational development experience will help Solid Ground strengthen our community by giving more people the firm foundation they need to succeed,” McHenry said. Ruth Massinga, Interim CEO since August 2011, will continue working with Solid Ground through the fall on several strategic initiatives. “Ruth stepped out of retirement and guided us through a strategic refocusing. We are indebted to her for the gift of leadership,” McGowan said. We need YOU: Join the Washington Reading Corps! Want to make a long-term difference in kids’ lives? Consider a year of service with the Washington Reading Corps (WRC) of King County! WRC is a statewide program that helps struggling preschool to elementary students improve their reading skills and succeed in school. WRC believes access to education and closing the achievement gap are key social justice issues with far ranging consequences directly related to our mission to end poverty and undo racism. Literacy is one of the most important factors in school success, and our goal is to ensure that all students can read by the end of 3rd grade. We also support family and community involvement in schools. Solid Ground coordinates the WRC of King County, which serves over 1,600 students a year at more than 20 schools and community sites. Since 1997, WRC has boosted the literacy skills of close to 150,000 students statewide. Each year we place stipended AmeriCorps Members to tutor and coordinate family literacy events at WRC sites across King County. Tutor struggling readers, both one-to-one and in small groups. Coordinate Family Literacy Nights to engage families in their children’s schools. Develop analyses of institutionalized racism and low literacy, and their connection to poverty. Recruit, train and support community volunteers. Solid Ground’s WRC program is unique in the level of training Members receive in understanding and developing the skill set to be an active member of the anti-racism and social justice communities. In turn, AmeriCorps Members help recruit and train community volunteers and provide one-to-one and small-group tutoring for students. To apply, go to the My AmeriCorps website and use the Seattle WRC Listing ID #: 5006, and visit the WRC ‘s webpage for more information. Our November 2011 Groundviews newsletter features a remarkable young woman who is both one of the first residents in permanent housing at our Brettler Family Place and is giving a year of service through our Washington Reading Corps. To read the entire issue, visit our Publications webpage. By serving with WA Reading Corps and living at Brettler Family Place, Penni Carter accesses services while giving back. A year of AmeriCorps service can be challenging for anyone. 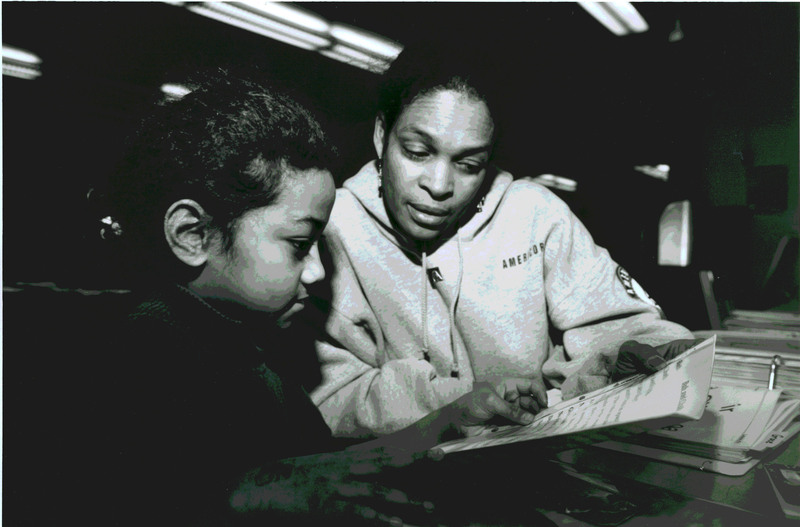 Members of Solid Ground’s Washington Reading Corps, for instance, tutor children who read below grade level five days a week – and take intensive leadership development, social justice and anti-racism trainings – all while living on a subsistence stipend. For Penni Carter (not her real name), add to that the struggle of landing on her 27-year-old feet, fresh from escaping domestic violence. Solid Ground provides a range of services that meet people at various stops along their life journeys. When Penni was preparing to exit her domestic violence shelter, she connected with a Solid Ground JourneyHome Case Manager who helped her apply for permanent housing in our new Brettler Family Place program. In addition to housing, Brettler provides support services and case management for formerly homeless families. People accepted to live there must have stable jobs or be moving in a positive direction in their work lives. Penni moved into Brettler last spring. Soon after, she learned of Washington Reading Corps (WRC) through a coworker and became a volunteer in its summer program, Cities of Service. From there she applied for and was accepted to serve a year with WRC. Thus, she became both a program participant and an AmeriCorps Member with Solid Ground. Like all Solid Ground employees, Penni and her fellow WRC Members were sent to Undoing Institutional Racism (UIR) training, an intensive experience that unpacks the impacts of racism in America. And Penni says the UIR training helped her learn how to talk to other white neighbors about racial dynamics and make better connections with neighbors of color. Raised by a single mom in Section 8 housing, Penni’s experience could have been one of succumbing to generational patterns. But a continuum of Solid Ground programs supported her in finding stable housing, establishing a goal plan, and getting employment training, community service and leadership development that will help her family thrive. Seven Spanish-speaking parents gathered in a third-floor classroom at Chautauqua Elementary School one recent Thursday evening, chatting easily as they waited to hear presentations in Spanish about the school’s English Language Learning program and the U.S. Census. One parent filled out her census questionnaire; others discussed how many native Spanish speakers live on Vashon Island.